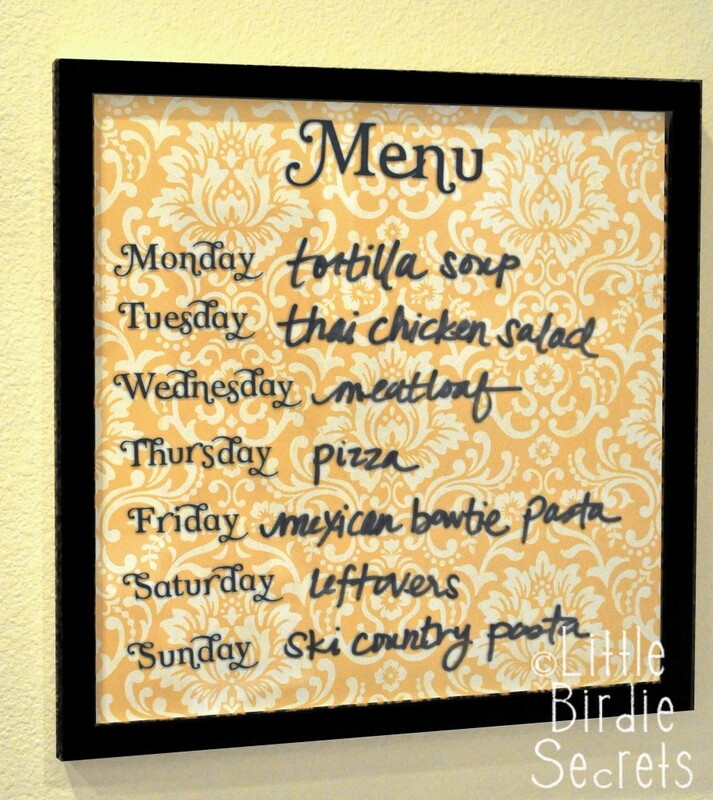 Super simple but unique way of creating a white board. Bailey and I created these together, you can view her blog here. -Frame, the size that you want the board to be. 1. Take your frame apart. 2. Cover the backing with paper or fabric. You can cover that matting separately if you like or just put a single piece of paper or fabric in the frame. *we put ours in the bathroom and use to write reminders and love notes of course. Love this, I'm totally going to make a menu one for my kitchen.